For those needing a walk-in bathtub requiring a 2-wall installation, here you go. 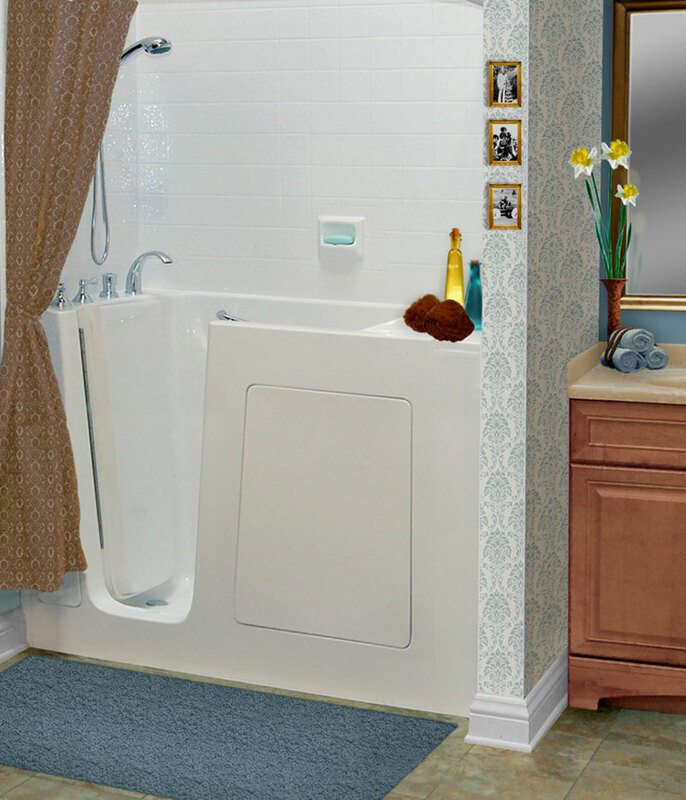 The 3055 has tile flanges on the long back and faucet side walls of the tub. 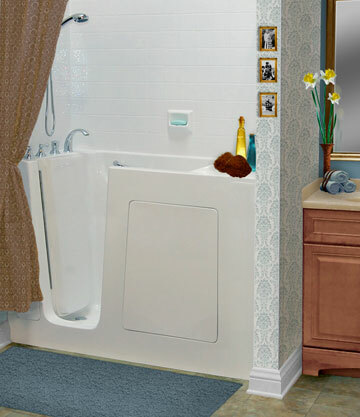 A pony or flat wall can then be installed giving the bathtub that finishing touch. Dimensions; Length 29½" x Width 54¼" x Height 38"